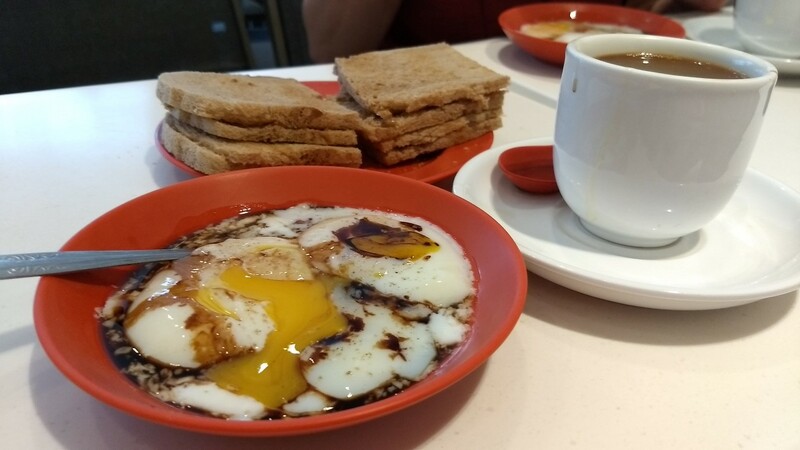 It seemed appropriate for our first breakfast in Singapore to be a local favorite - Kaya Toast. And it was easy to do as one of the more famous local chains, Ya Kun Kaya Toast, had a store a block down the street from our hotel. 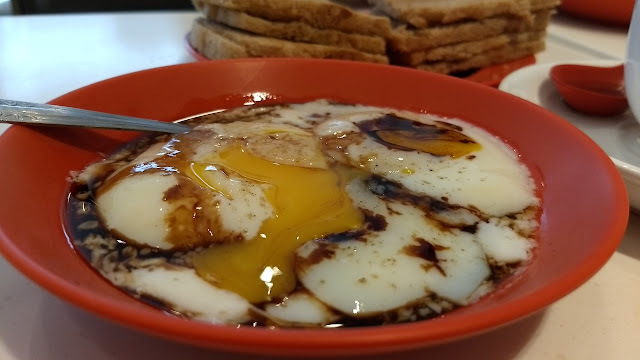 "Kaya" is coconut jam, made from coconut milk, eggs and sugar. 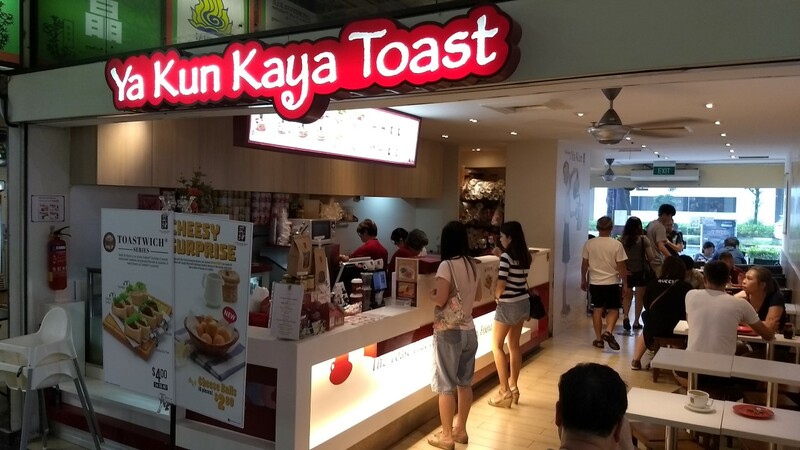 "Kaya Toast" is, unsurprisingly, toast coated in kaya. 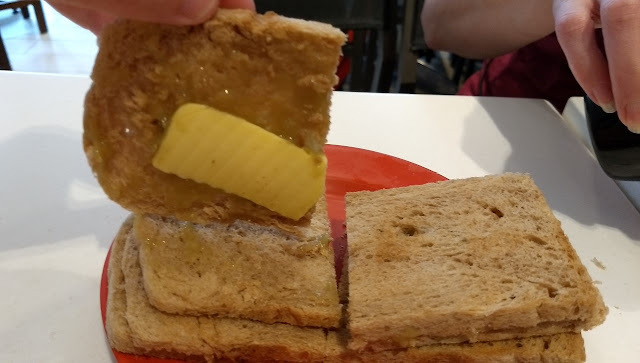 The toast is made with simple, slightly brown bread. It then gets a slather of kaya and generous slabs of butter. It isn't something we'd want to eat on a regular basis, but it was fun to try. It turned out not to be a problem, though. While they looked under-cooked, the white was actually quite nicely set up. They were decadent and delicious. 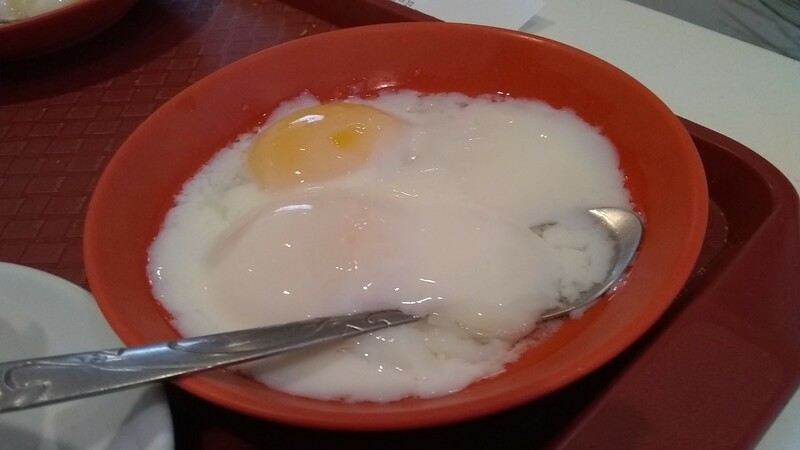 I could happily eat eggs this way on a regular basis. 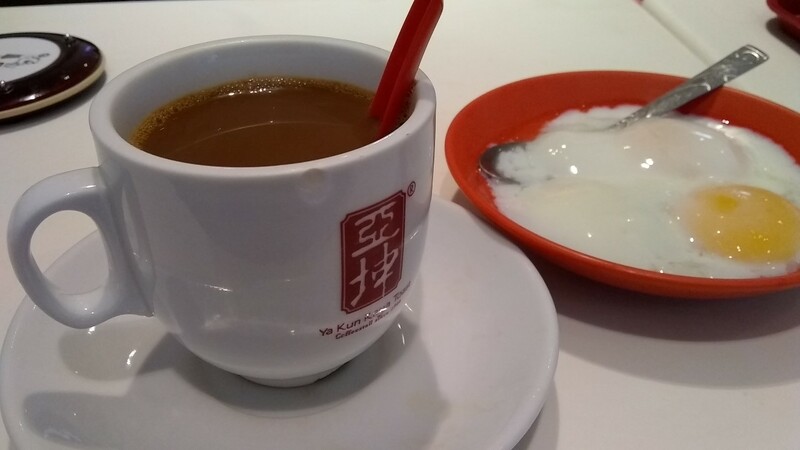 Unless you request otherwise, it comes pre-prepared with sugar and condensed milk. I quite enjoyed it.